The CVGL Vacuum Grippers are available in 424, 624 and 824 mm lengths. The units are offered with 3 gripping interface technologies, 3 suction flow rates and integrated or external generator. 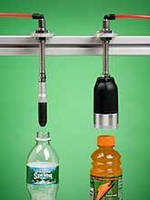 The grippers can be integrated into robots with lower payloads. The NSR-PG-10-20-UR Precision Parallel Gripper is designed for UR3e, UR5e and UR10e collaborative robots for handling intricate part handling, measurement, sorting and assembly. 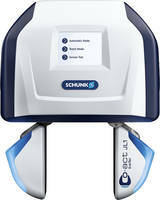 The unit features a 20 finger stroke and is able to measure part size with 30 µm precision. 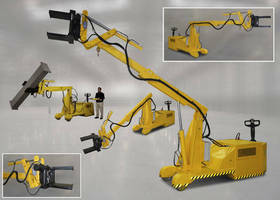 The gripper can handle work pieces up to 100 g and weighs 175 g.
Digital Control Mechatronic Gripper delivers process stability. 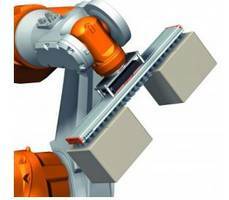 Rapid Mechatronic Gripper handles small parts. 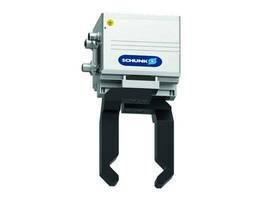 Sheet Metal Gripper supports press transfer applications.